Are you a January birthday? 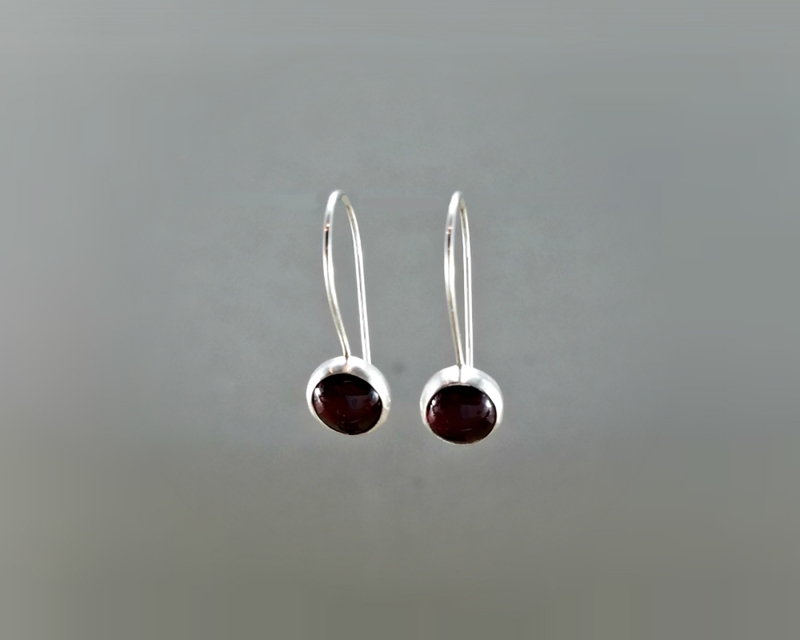 Garnet is your birthstone! 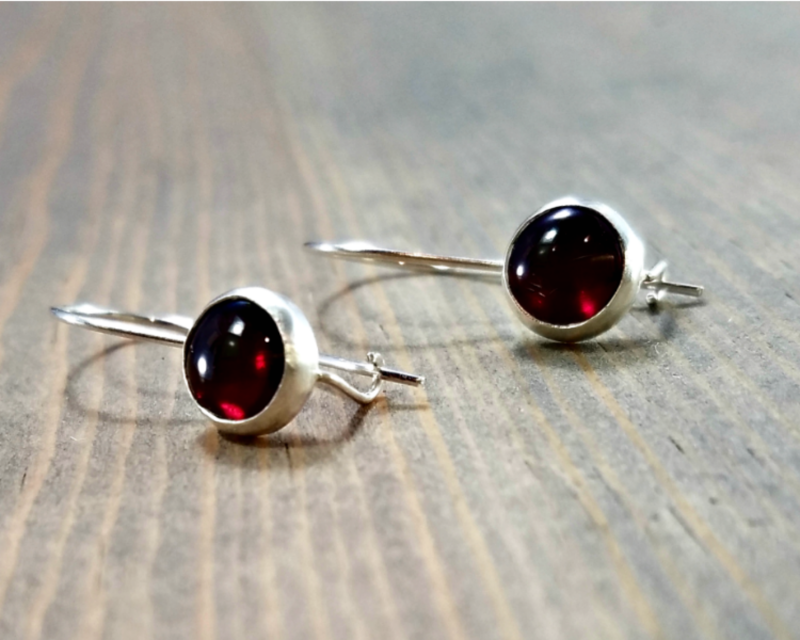 These red garnet drop earrings set in sterling silver are so lightweight and comfortable to wear with the locking latch ear wire. 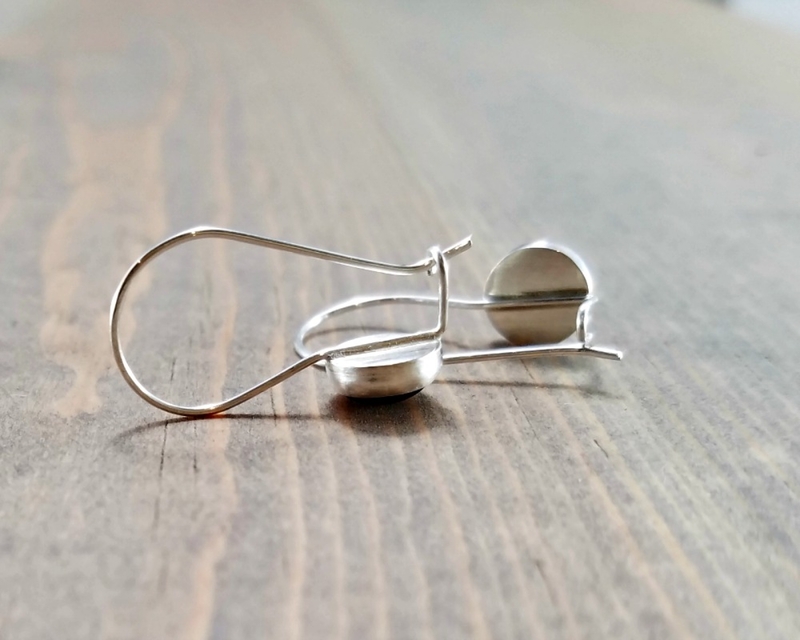 22 gauge sterling silver kidney / locking ear wire. 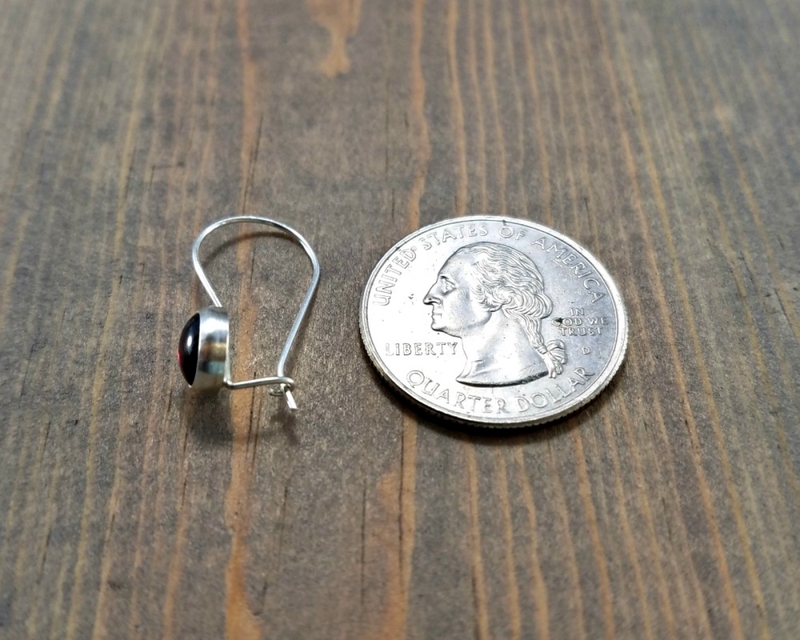 Distance from the top of the ear wire to the base of the bezel is about 18 mm or about 3/4 inches. Each pair is individually handmade so dimensions may vary slightly. Groovin' for garnet? I have more! 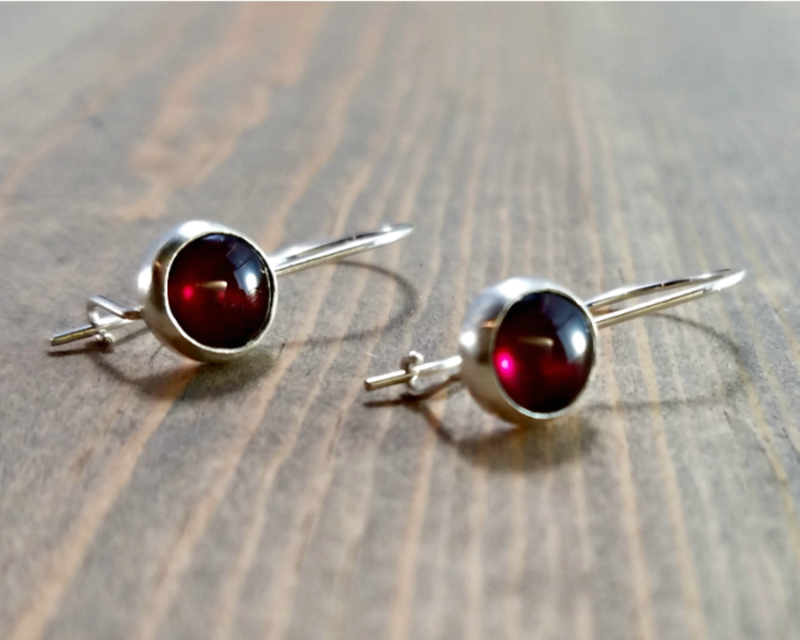 My 18-year-old granddaughter LOVED these birthstone earrings. They came in nice presentation. The artist was super to work with, very responsive to questions and timing issues. These are a beautiful design and a very nice value because of the quality.